I will be participating in NovelKnight’s Beat the Backlist Hogwarts House Challenge for 2017! In addition, each year I always participate in the TBR Group Challenge at Library Thing. My minimum goal for 2017 is the first 24 books on this list. Quite a few of them are definitely large, chunky books…I’m looking at you George R.R. Martin and Ron Chernow! I happen to have a few themes for 2017. The two biggest themes are Agatha Christie and Series reads. In 2017, I plan on starting my goal of reading all of Agatha Christie’s books in order of publication; I only listed the first 8 on this post, but consider all of them on my backlist (except for the 5-6 I have already read)! My second theme of 2017 is to tackle a few series that I have been meaning to read for a while: Game of Thrones, Divergent, and Throne of Glass, to name a few. I also have quite a few books on the list that further my goal of reading more diversely in 2017: George, Brief Wondrous Life of Oscar Wao, The Sympathizer, Timekeeper are just a few that fulfill that category. And finally, quite a few books make an appearance by authors I have read in the past and loved, and want to read more of their work. Jacqueline Winspear, Agatha Christie, Chimamanda Ngozi Adichie, Neil Gaiman and Gregory Maguire all fit into that category. As for the Hogwarts House Mini Challenge, I am a proud Ravenclaw! The Mysterious Affair at Styles by Agatha Christie – Review Coming Soon! The Happiness Project by Gretchen Rubin Review here. George by Alex Gino Review here. The Underground Railroad by Colson Whitehead Review here. Year of No Sugar by Eve O. Schaub Review here. Are you going to try the BTB challenge? What’s on your list? 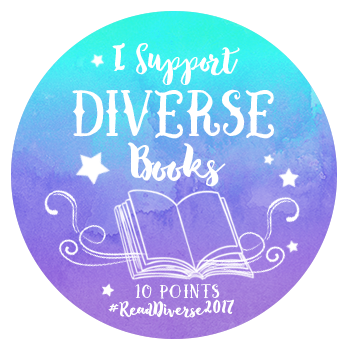 This entry was posted in Reading Challenges and tagged Beat the Backlist, Reading Challenges, TBR Challenge. Bookmark the permalink. The Thing Around Your Neck is one of the only Adichie books I haven’t read, she is one of my favorite authors. Good luck fellow Ravenclaw! 🙂 I will also be doing this challenge, I have too many books in dire need of love! I was too lazy to make up the full list, I stopped at 100! I am doing this challenge, too. And I’m a Ravenclaw! But I don’t know how to put images on my blog without the slideshow option. Can you tell me how?